Sometimes Do As Infinity will do tribute (or "cover") songs in honor of another artist. This page will let you know about all those tribute/cover songs. (^^) It will also include tributes that other artists did in honor of Do As Infinity. 2) Flash Player (and Hear all tributes): This flash player will let you listen to each sample in REAL TIME. (^^) You'll ONLY hear the tributes for the section you're in! Occasionally you can choose between different playlists (especially if the CD is a remake/tribute to another artist's work). Lastly, to make the pages load faster, the tributes have been split into several pages (hence why I alternated/color-coded the links). This special performance was on a TV show called "Space Shower TV" (SSTV). The original artist, Kazuyoshi Saito, was also on the show...and he and Do As Infinity performed it together. (^^) In the original song, Kazuyoshi plays the guitar and sings. In this version, Van is the only person singing. Do As Infinity (or more specifically, Ryo Owatari) sang this song live (at Zepp Tokyo) in 2002. A year later, the performance was put on an album called "Do The Live". As for the original song...it was created by KISS. (^^) From what I've heard, they first debuted the song at Cobo Hall (which is located in Detroit, Michigan. Apparently they love Detroit, because they also wrote a song called "Detroit Rock City"). Anyway..."Rock and Roll All Nite" became an instant hit, and now it's one of KISS's most famous songs. The song has been recorded, re-recorded, and performed live dozens of times...but I only posted two versions of the song (which you can get in the Downloads section). This tribute is very special because "I miss you?" was actually created BY Do As Infinity. (^^) Therefore, this is also a Do As Infinity song -- and it was later released on their "Great Supporters Selection" album. The entire "LOVE FOR NANA" album is dedicated to "NANA", a fashion-heavy, realistic, edgy and fun manga series made by Ai Yazawa. (^^) She's a famous mangaka who's made several series, including "Paradise Kiss" and "Kagen no Tsuki". In the "NANA" series, there are two bands: TRAPNEST, and BLACK STONES (a.k.a. "Blast" for short). Every musician on the "LOVE for NANA" CD are "members" of one of these bands. (^^) Do As Infinity are performing as "members" of "BLACK STONES". Other artists on the CD include Tommy Heavenly6, Skye Sweetnum, and Ai Otsuka. More information on the album can be found on this fan site, and on this Yahoo! Japan page (which also has a picture of Van on it!). As you can see, there are four versions of the album. The first two are Limited Editions, and the last two are Regular Editions. Each album is the same price, but (according to CDJapan) the Limited Edition "comes housed in a special Amaray keepcase". This one was performed during their "Live Tour 2005 ~NEED YOUR LOVE~" tour. More specifically, it was performed at the tour's final concert (which was at Budokan on May 31, 2005). About 4 months later, it was released on a DVD called "Live in Japan II". The original song was by Deep Purple, a British rock band. The song was placed on several of their albums, but I listed its first album below. "Do The Musuem" is a book that talks about all 86 Do As Infinity songs (which were made before their 2005 disbandment). The book supposedly talks about how each song was made, and gives a little insight into the creative process behind each song. (^^) A little more information -- and more pictures! -- can be found in the "Do The Comments" section. Eventually, the entire book's translation will be posted there as well. The book also included a bonus CD (and lyrics) for a new song called "Boku-tachi no 10th Anniversary". (^^) This song is dedicated to all members of Do As Infinity -- including their fans. It pretty much pledges that they will never break up again, and that they'll continue to support each other no matter what. It's a really nice song...which you can get in the "Downloads" section! 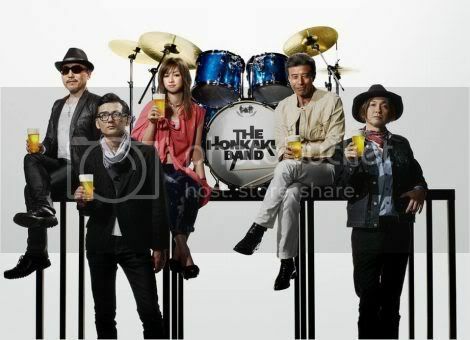 Early in March 2011, Van filmed a commercial for Kirin Beer. 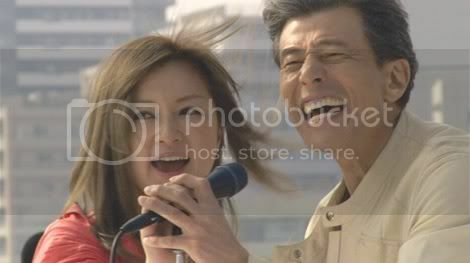 In the commercial, she sang a duet with Hiroshi Tachi (a Japanese actor/singer) and the Honkaku Band. The song is called "Arashi o Yobu Otoko" (trans: "The Man Who Causes a Storm"). The original song came out in 1958. It was performed by Yujiro Ishihara, a famous singer/actor who was as popular as Elvis (in Japan, anyway). The song is very popular, and has been covered by various artists including Yosui Inoue.